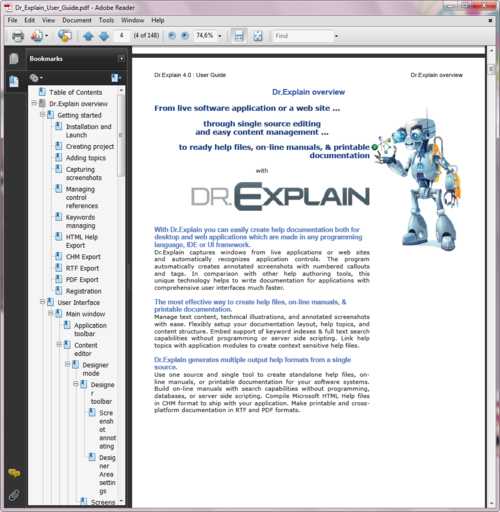 PDF is an open standard for document exchange created by Adobe Systems in 1993. If you need documentation to look the same way in every platform, you can use PDF format to create printable manuals. 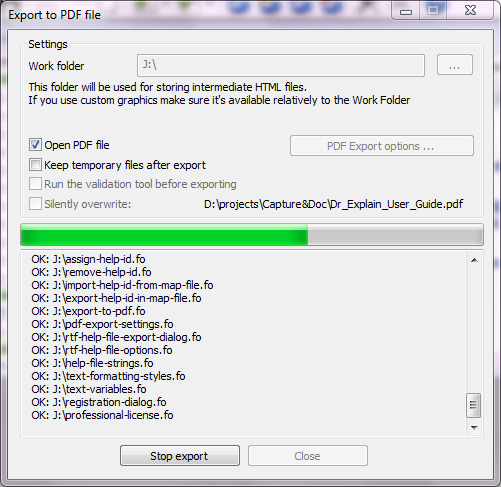 Screenshot below shows the export dialog.